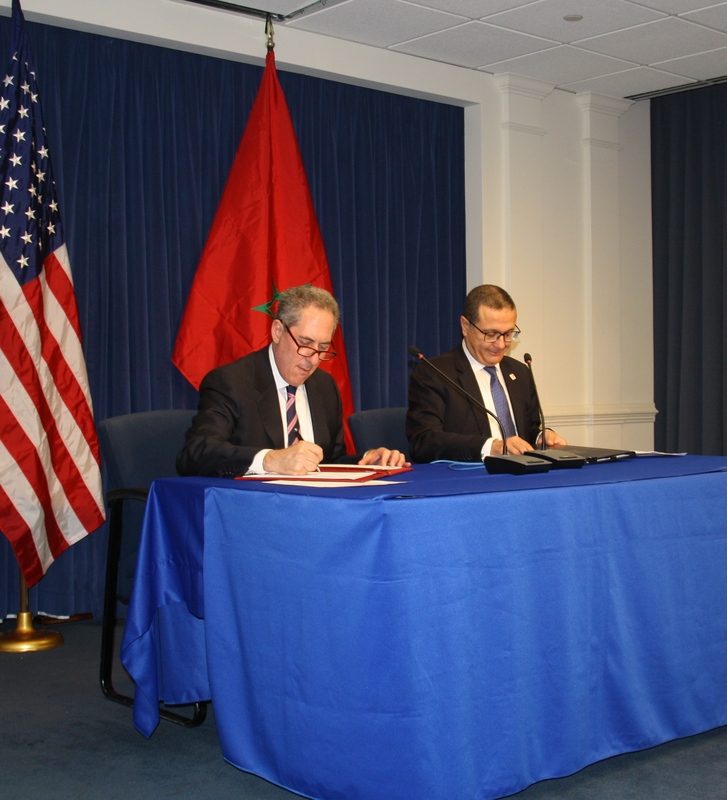 Washington, D.C. – U.S. Trade Representative Michael Froman and Moroccan Minister of Economy and Finance Mohamed Boussaid today signed a Trade Facilitation Agreement that represents a forward-leaning, 21st century agreement on modernizing customs practices. The agreement, which builds on the United States-Morocco Free Trade Agreement (FTA), includes provisions covering internet publication, transit, transparency with respect to penalties, and other issues that will further boost Morocco’s competitiveness and benefit its trade environment. Morocco is the first country in the region to conclude a bilateral trade facilitation agreement, as well as to endorse joint principles on investment and information communication technology services trade with the United States. These important initiatives reflect our common commitment to building stronger economic ties with and among the region. Ambassador Froman and Moroccan Minister of Industry, Trade, Investment and the Digital Economy Moulay Hafid Elalamy also pledged today to advance future work under a bilateral action plan aimed at supporting job creation by increasing trade and investment opportunities. The U.S.-Moroccan economic relationship has grown significantly since our bilateral FTA entered into force in 2006. Overall trade between the United States and Morocco has increased more than 300 percent, with U.S. exports up more than 350 percent and Moroccan exports to the United States more than doubling. U.S. foreign direct investment (FDI) in Morocco has quadrupled over the same period, amounting to $613 million in stock investment in 2012. To view a copy of the U.S.-Morocco Trade Facilitation Agreement in English, please click here. To view a copy of the U.S.-Morocco Trade Facilitiation Agreement in Arabic, please click here. The U.S.–Panama trade agreement will support American jobs, expand markets and enhance U.S. competitiveness.